As an effective livelihood approach to alleviate poverty without rural population migration, ethnic tourism has become the primary choice of economic development in ethnic areas worldwide in addition to traditional livelihood approaches. 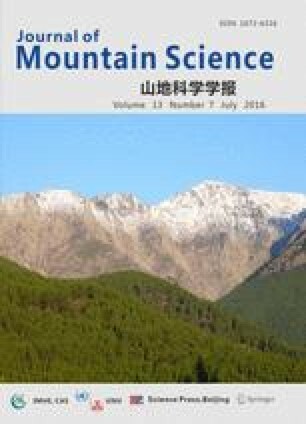 This article applies the theories of livelihood to study the community evolution driven by tourism livelihood and examine three mountainous tourism communities in different stages of tourist area life cycle. Drawing on the methods of GIS spatial analysis, semi-structured interviews and questionnaires, this article proposes a sustainable livelihood framework for ethnic tourism to explore the evolution of ethnic tourism communities by identifying changes in livelihood assets (natural, financial, social, cultural and human capitals) in the process of tourism development. The results show that the development of ethnic tourism has led to changes in the increase of building land, and the diversification of land use functions with a trend of shifting from meeting local villagers' living needs to satisfying tourists, income composition and uneven distribution of tourism income spatially. Ethnic tourism also led to the deterioration of traditional social management structure, collapse of neighboring relationship, the over- commercialization and staged authenticity of ethnic culture, as well as the gradual vanish of agricultural knowledge with a trend of increasing modern business knowledge and higher education. In addition, these changes, involving livelihood assets from natural, economic, human, social and cultural aspects are interrelated and interactive, which form new evolution characters of ethnic community. This study reveals the conflicts over livelihood approaches which have formed new vulnerabilities to impact on sustainable evolution of ethnic communities. This research provides implications for achieving the sustainable development of ethnic communities with the driving force of tourism livelihood.